Free shipping. Buy direct from HP. 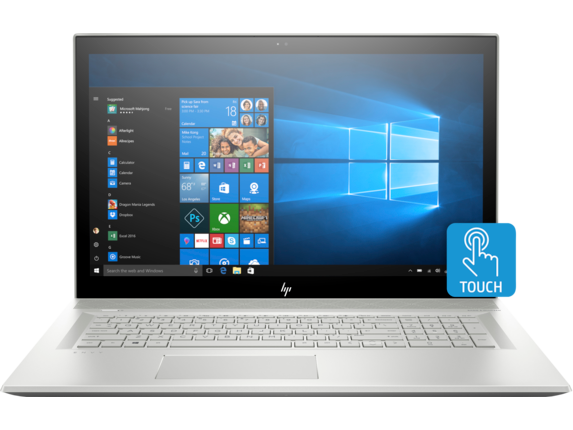 See customer reviews and comparisons for the HP ENVY Laptop - 17t. Upgrades and savings on select products. Experience the powerful performance of the latest processors and discrete graphics, high memory RAM, with long-lasting battery life. Designed so you can multitask, work, and play. Dramatically redefine your entertainment experience with a 17.3" diagonal, FHD  or UHD  (on select models) wide-angle display, integrated optical disc drive, and audio expertly tuned by Bang & Olufsen. Experience the powerful performance of the latest processors and discrete graphics, high memory RAM, with long-lasting battery life. Designed so you can multitask, work, and play. Treat yourself to a laptop that delivers unstoppable power in a package that redefines class. 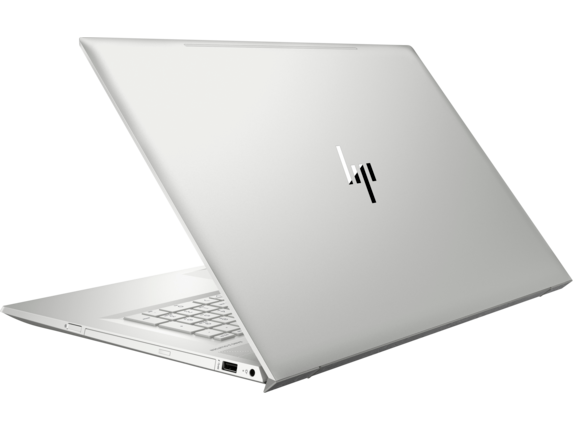 The HP ENVY 17t combines elegance with performance to create an unparalleled experience whether you’re streaming your favorite show or burning the midnight oil at work. Engineered from the ground up to provide uncompromising results, this laptop can help you get through every part of your day. 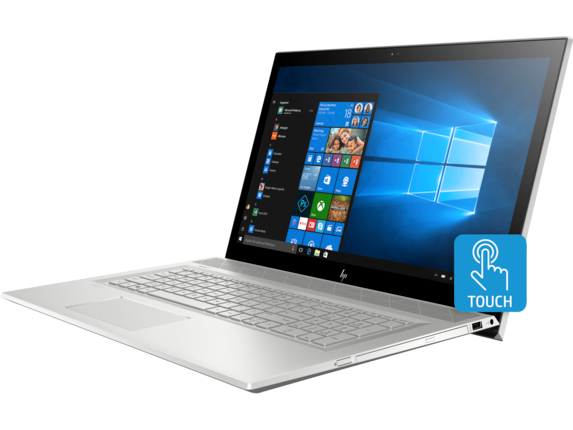 Pioneering the balance between style and functionality, this HP ENVY laptop beautifully integrates a modern metallic exterior that makes a stunning impression in the boardroom, café, home office, and everywhere else while boasting the power and performance for all-day use. You can enjoy the stellar 17.3-inch display in Full High Definition (FHD) or upgrade to Ultra-High Definition (UHD) for incredible image quality, dynamic resolution, and amazing color representation to make your work, movies, and everything you do look better than ever. 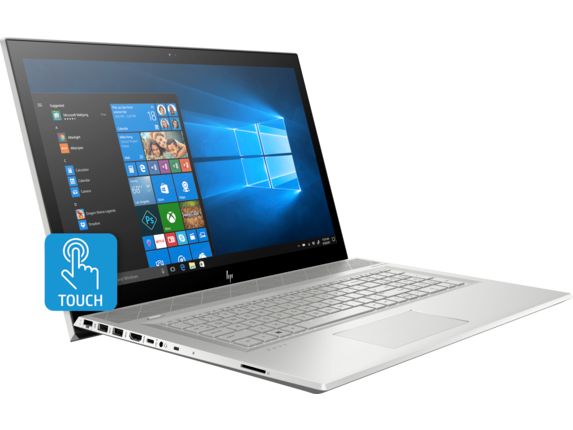 This impressive display also includes touch screen features to give you more flexibility to navigate your HP ENVY 17t laptop and work the way you want. Packed with industry-leading solutions in graphics and processing, this laptop redefines productivity with an 8th Generation Intel® Core™ i7 processor for smooth performance and an extended battery life that can handle a full day of work and play. Plus, the NVIDIA® GeForce® MX150 graphics card makes even the latest triple-A (AAA) games stand out with more detail. It also turns your designs into breathtaking works of art. And the built-in Bang & Olufsen speakers deliver astounding sound to make movie night a luxury experience for everyone. You can enjoy unmatched connectivity and creativity with HP accessories that are designed specifically to make your HP ENVY laptop even better. For the gamers out there, you’ll love the HP USB headset 500 that makes communicating with your squad smooth and effortless. Make static and audio drops a thing of the past and enjoy crystal-clear sound when it’s time to call out enemy locations, request ammo drops, and draw up your strategy. Another amazing offering in the HP family lets you turn your social media feed into a physical keepsake you can share with all of your friends. The HP Sprocket photo printer puts an instant printer in the palm of your hands, allowing you to capture every moment a unique, creative 2 x 3-inch photograph. Use it with your smartphone or HP ENVY 17t to enjoy a personal tapestry of your most memorable moments. Take your computer experience to new heights with this eye-catching HP ENVY 17t laptop that’s packed with power and potential. Enjoy impeccable results through every part of your day, whether you’re staying up-to-date on the latest games, turning out a massive workload, or binge-watching a hit series.